Hoona London is part of CD London Ltd, UK Company registered with the Companies House No 07466691. It is the advertising arm of CD London and aims at catering to over a million Muslims in London and over a million Arabic speakers as well as English speakers of Arab origin in London. The Arab Community is growing and the real proof is that the latest UK census 2011 has included ‘Arab’ as a separate ethnic group. As a result, 240,545 British Arabs were reported in the 2011 Census in England and Wales. Arabs visit London as tourists as well, and according to statistics published by the New West End Company – which represents retailers in London’s most famous shopping streets (Bond Street, Oxford Street, Regent Street, and Knightsbridge) – Middle East buyers were set to spend £210m ($346m) in London’s West End in 2011. It is claimed that they spend around £1,877 each, some fifteen times more than the average UK shopper. In 2011, the Census indicated that Muslims made up 12.4 percent of London’s population, noting a 3.9 percent increase compared to 2001. Muslim communities in all their diversity play an essential part in the life of London city. This shows the importance of increasing Muslim representation within the media. This is part of our mission as well. 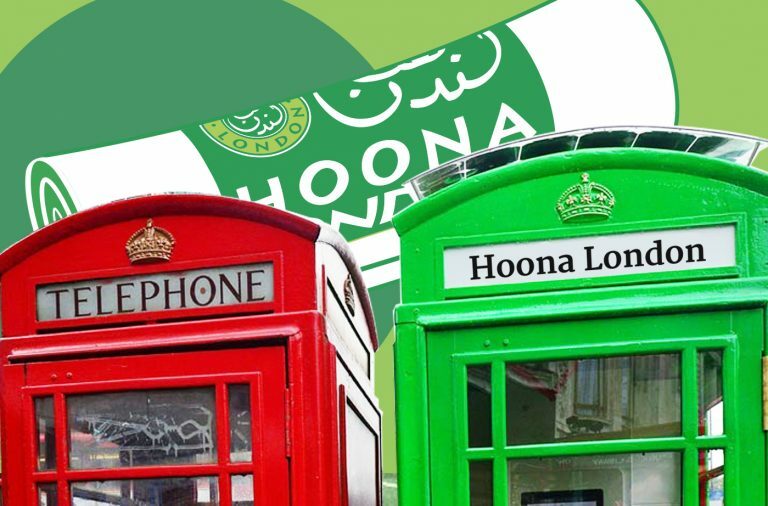 Hoona London is truly the first publication of its kind to be published in both English and Arabic as our first publication dates back to June 2007 and we can prove it. Hoona London is a truly community paper. Our aim is to remain an unbiased publication, to keep away from politics and sad news and to bring hope and enlightenment to the community. Our primary mission is to build a strong link between Muslims and British Muslims; Arabs and British Arabs. Friday 11.11.11 saw the launch of our new publication. Hoona London: The Newspaper. The paper is distributed all over London and reaches out to an excess of 150,000 readers. With this is in mind, it is no doubt that businesses will increase their sales through advertising in Hoona London. We are very proud of our publications and we care about our honourable advertisers; that is why we aim at long-term relationships. We love transparency and honesty. We always look forward to achieving better results and will be happy to receive your comments, suggestions or complaints. So feel free to contact us.